If you are unable to access Legal Aid (and we will try our best to secure funding where applicable) and do not have private funds, then there is the possibility of accessing our high calibre services on a no win no fee basis. At this time we can only accept your case on a no win- No fee basis in personal injury cases. We are confident that our team of no win no fee solicitors will provide effective representation if we believe you have a good case. The only way to proceed, if you need legal advice and fear that you cannot afford it, is to contact our team of no win no fee lawyers. Below is an extract from our terms of business letter which includes a further explanation of how the no win – no fee arrangement might work in addition to our terms of business and quality standards. Please note that this information is intended for general guidance only, and is not intended to provide a definitive guide to Criminal Law or Procedure. We will of course provide more specific advice in relation to your case either at Court or by appointment at our offices. If in the meantime you have any questions, please do not hesitate to contact us. 5. Where a solicitor is otherwise expressly required to disclose information by Act of Parliament. Should you have any queries in connection with the above, or regarding any other aspect of client confidentiality, we will be happy to provide more specific advice. We are required by the Law Society to provide you with the following information pursuant to the Client Relations Rule 2.03(2) of the Solicitors’ Code of Conduct 2007 (which has replaced the Solicitors’ Practice (Client Care) Amendment Rules 2005 and the Solicitors’ Costs Information and Client Care Code 1999). Community Legal Service (formerly Legal Aid) – personal injury claims are generally excluded from CLS funding. We are unable to represent you on a legally aided basis but where you may qualify we will advise you accordingly. Legal expenses insurance – some Household/Motor insurance policies may include legal expenses cover for personal injury claims. We must see a copy of your Household and Motor Insurance policy as soon as possible. Please ensure that you send it to us. Similarly if any member of your family has similar insurance, which covers you, then please send those documents to us. We are required to investigate the possibility that you may already have the benefit of legal expenses insurance. Please note that if it subsequently transpires that you did have the benefit of legal expenses cover, then that could affect the recoverability of the success fee and the insurance premium, (see below). Trade Union membership – some Trades Union may cover the cost of legal proceedings if the accident occurred outside work. If you are a member of any trade union or other similar membership benefit scheme then please advise us immediately. Private funding – you may choose to fund your case privately. If we are representing you on a private basis we determine our charges based on an hourly rate. The hourly rate differs depending upon who carries out the work and details of the hourly rates are set out below. Please note that letters and telephone calls will be charged at one tenth of the usual hourly rate. Please be aware that all our charges are subject to VAT at the standard rate. It is our policy to request that fees be paid in advance. We will provide you with an estimate of our likely fees at the outset and should that estimate change for whatever reason we will advise you immediately. We will deliver invoices to you on a regular basis so as to allow you to easily budget for our fees. We will ask that our invoices be met by return. If there remains outstanding any invoices as at the date of any court appearance we will be unable to attend the said court appearance and any future court appearances until our fees are brought up-to-date. It may be the case that we have agreed a fixed fee for representing you in which case you will receive confirmation of the fixed fee in writing. In order to ensure efficiency of costs to you, the solicitor handling your case may delegate certain suitable tasks to a trainee or a paralegal whose work will be fully supervised. 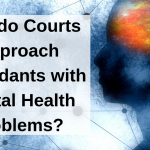 We seek to ensure that you have as much information as possible as to the likely cost of the case, and in line with Law Society requirements, we include herewith an estimate of the amount of hours we consider will be involved in this case and an estimate of costs. These estimates rely on the instructions and information with which you have already provided us. However factors such as the complexity of your case and legal issues involved may increase or decrease our costs estimate accordingly. Should there be any change to our estimate of the likely costs then we will endeavour to update you immediately. Please note that, unless specified otherwise, all invoices issued to you are immediately payable on receipt by you. If payment is not received from you in respect of fees outstanding, we may refuse to carry out any further work on your case and we may inform the Court that we wish to be removed from the Court Record in advance of the conclusion of the case. In the event that disbursements (fees for third parties such as experts or a barrister or other goods/services) are required on your case, we will agree these with you in advance. We will only instruct an expert or barrister if we are in receipt of full fees from you. Fees for disbursements will be paid into a client ledger which will only be used to pay the disbursement when invoiced. Generally when an expert is required to attend Court, their charges will be paid by the Court. Should the court refuse to settle the expert fees in full, you would be responsible to pay to Howards any balance invoiced to Howards by the expert. In the event that we have agreed to provide representation on fixed fee basis please note that regardless of the amount of work undertaken the full fixed fee becomes payable. From the information currently available to us this appears to be the funding option most appropriate to you. Please see below and the other documentation which accompanies this leaflet. If your claim is successful the Defendant will pay your legal costs. If your claim fails then Howards & Henry’s Solicitors agrees not to charge you for the work that they have undertaken. To compensate us for the risk of not getting paid if something goes wrong and your case does not succeed we charge “a success fee”. This is a percentage of our normal costs. It is claimed from the Defendant in addition to the normal costs. We will advise you separately on the likely amount of any success fee but please note that the maximum success fee that we are permitted by law to charge is 25% (including vat) of the total damages you receive. In addition we may advise you to purchase an “after the event” insurance policy. This will protect you against the other side’s costs if your case fails. We will be seeking to recover the premium for any legal expenses insurance that you purchase for this claim. In the event that we discover that you do, in fact, already have the benefit of legal expenses insurance we will not charge you a success fee and we will cancel the policy that you have purchased. Your costs – It is proposed that you are entering into a CFA with us. This is what is often referred to as a “No Win – No Fee” agreement. Accordingly, in the event that your claim fails then we will not charge you for any work undertaken by us or any expenses incurred by us on your behalf. The only circumstance where you might be liable for our costs when your claim fails is if it fails because of misleading information that you may have given to us or if you do not co-operate with us in pursuing your claim. In the event that your claim succeeds you will be liable for our costs, however, we will usually be able recover a contribution towards these costs from your opponent. The costs that your opponent will have to pay are fixed in law and the appropriate amount they will have to pay will depend upon the stage reached at the time of settlement. It is due to the fact that the fixed costs payable by your opponent only cover part of our fees, that we do charge the success fee to make up part of the shortfall. Your opponent’s costs – You generally have no liability for your opponent’s costs. Under law enacted in April 2013 you cannot be made to pay towards your opponent’s costs, even if you lose the case unless and in the rare circumstances the trial judge concludes that your conduct has been so questionable that it is only right and proper that you pay their costs of defending the case brought by you. Generally, you would only be expected to be made to pay the other sides costs in the event the judge concluded your claim was fraudulent in some way. In the event that we consider it may be wise to purchase an insurance policy to cover your liability for the other sides costs we will advise you accordingly. 2. Your right to assessment of costs, wherever we intend to seek payment of any or all of our costs from you. Please note that in the event that we require you to pay our costs you have the right to have those costs assessed by the Court. Should that situation arise we will provide you with the appropriate information. Every case involves an element of risk, even if the other party admits liability. Accordingly, it is our view that you should safeguard your position by insuring against those risks. In the event that you lose your case you will have to pay your opponent’s costs and disbursements as well as your own disbursements. It is even possible in some circumstances for the case to succeed and for you to have to pay a contribution towards the other side’s costs in relation to certain parts of the claim. For those reasons Howards & Henry’s Solicitors recommend that you purchase an “after the event” legal expenses insurance policy. In our view the “after the event” policies provided by Elite Insurance Service and Box Legal are the ones most suited to your needs. They offer premiums which are priced at reasonable levels and provide the relevant cover. In addition we may refer you to a medical expert to comment upon your injuries. We tend to recommend two companies, Legal Reports and Services and Anything Legal. We recommend these two companies because they seem to be able to arrange medical assessments anywhere in the Country, provide a very fast appointment date and provide access to our clients to the best possible experts. Please note that it is entirely your choice as to whether or not you wish to purchase such a policy or use the recommended expert. We are happy to consult other experts if we are satisfied of their expertise and their fees are reasonable and likely recoverable in full. From time to time and in the advancement of your claim we will have to incur certain expenses. Some of these expenses will not amount to very much in which case so far as the cost is no more than £25.00 we will not seek your approval for where we source the product. However, we are likely to have to advise you upon the use of certain experts and even insurance policies. Generally, if you are required to undergo a medical examination we will refer you to either Anything Legal or Legal Reports and Services. Legal reports and Services will pay to us a commission in return for the referral we make to them and technically although this commission is payable to us you can claim it if you so wish. It usually amounts to around £50 per case but we will disclose to you the exact amount of any commissions we will be receiving and pay it over to you if you require us to. Please note that whilst we do not receive commissions from AnythingLegal, that company is owned and managed by the brother of one our Directors, Mr Gardner. Similarly, if we are recommending an After the Event Insurance policy we will generally refer you to Box legal. We consider their product to be reliable and competitively priced. Please note that whilst we do not receive any cash commission from Box Legal in return for recommending their product your file handler at our office will have the benefit of accruing loyalty points which can be used to buy certain goods from the insurer’s catalogue. The commissions or rewards are paid to us in return for our continued business and in now way affect our judgment of the most appropriate provider to use in your case, it is very common that medical agencies pay such commission. We use these providers because they provide a good service and at a good price, they have appropriately qualified experts and make the instruction of such experts simpler for us which in turn saves costs. If you prefer that we do not use any of these agencies then please notify us and we will make alternative arrangements. If we decide to recommend any other third party service we will notify you of the anticipated cost and advise if we are to receive any commission and how much that will be and the same points above will apply. Where the sum exceeds £20,000.00 and is held for less than 7 days we will not generally pay over any interest. The amount of interest payable will be the amount payable on the account in which the money is held. Howards & Henry’s Solicitors is not authorised by the Financial Service Authority. However, it is included on the register maintained by the Financial Services Authority so that it can carry on insurance mediation activity, which is broadly the advising on, selling and administration of insurance contracts. This part of Howards & Henry’s Solicitors business, including arrangements for complaints or redress if something goes wrong, is regulated by The Law Society. This firm is entered into the Financial Service Authority Register, registered number 150147. We are committed to providing a high-quality legal service to all our clients. The firm’s definition of a complaint is defined as “any expression of client dissatisfaction however it is expressed”. This follows the Legal Services Commission definition of a complaint and also conforms to the Law Society Complaints Procedure. We aim to offer our clients an efficient and effective service. During the course of your case if there are any matters upon which you are concerned or require clarification or you are dissatisfied with, including this firm’s bill, then you should contact a member of our team who will attempt to resolve the matter to your satisfaction. We would ask that you first try and resolve any issue with the fee earner having conduct of your case and thereafter with the allocated Supervisor. Should you remain dissatisfied then you may refer the matter to our Complaints Partner, Oliver Gardner, with a view to the matter being resolved after it has been fully investigated. If your complaint is with regards to Mr Gardner you may direct your complaint to Peter Eatherall. We would hope that we would have been able to resolve any outstanding concerns or queries that you might have, but should there be any remaining issues to be resolved, then our Director will be pleased to address any further difficulty. If for any reason you continue to be dissatisfied then you have a right of further complaint to the Legal Ombudsman who would investigate the matter further on your behalf after first allowing us 8 weeks to deal with your complaint. If your complaint is solely in relation to this firm’s bill, you may also have a right to object to it by applying to the court for an assessment of the bill under Part III of the Solicitors Act 1974. The Legal Ombudsman may not however deal with a complaint about a bill if you have applied to the court for assessment of that bill. Should you wish to complain to the Legal Ombudsman you should do so within 6 months of your last contact with us. Their contact details are: Legal Ombudsman, PO Box 15870, Birmingham B30 9EB; Tel: 0300 555 0333; or Email: [email protected] You can find more information about how to make a complaint on the Legal Ombudsman website at: www.legalombudsman.org.uk. If you do have a cause to complain then please use our internal complaints procedure initially as it is highly probable that the matter will be resolved to your satisfaction and at the earliest possible opportunity. A copy of our complaints procedure is available upon request. The register can be accessed via the Financial Services Authority website at: www.fsa.gov.uk/register. Please remember to bring all relevant papers for the first appointment. If you are not sure which papers are relevant bring anything that you think will be helpful. This will make it much quicker and easier to find out what your problem is and how we can help you with it. You should also bring with you information about your own and your partner’s income, savings and outgoings, for example recent wage slips, mortgage or rent information and bank statements. • Check that we have properly explained everything you need to know and answer any questions that you may have. • Explain if you need to go to a Barrister and, where appropriate, discuss the choice with you. • Archive your file of papers for a period of 6 years after which it will be destroyed. • Before your file is archived we will offer you a copy of the paperwork relating to the file. 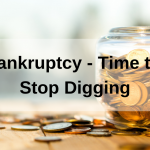 If you do not avail yourself of that opportunity and later after archiving require anything from the file there will be a charge of £40 plus vat for the recovery of the file and retrieval of any paperwork you require. Within the introduction of the Proceeds of Crime Act 2002 and the Money Laundering Regulations 2003 we are now under a duty to report any suspicions brought to our attention in undertaking your case that may fall under these provisions and must make you aware that we are not allowed, in the event of us having to make a report, of advising you of the same. As you will be aware money laundering and terrorist financing are serious threats to society. 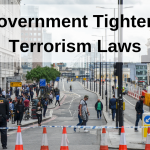 In order to combat this activity, Parliament has passed the Terrorism Act 2000, the Proceeds of Crime Act 2002 and the Money Laundering Regulations 2007. In order to comply with these regulations all solicitors are required to implement stringent checks and procedures to ensure that our instructions are received from bona fide clients and for genuine transactions and that any fees paid are from legitimate sources. • Current UK or EEA photocard driving licence. • Solicitor’s letter confirming recent house purchase or land registry confirmation of address. We may also carry out further checks using a status checking agency if we consider this to be necessary. Please do not take any offence by this requirement for information. We are in no way seeking to suggest that you are in any way involved in any legal activity however in order to combat those persons involved in such activity we, as all legal practices, are required to ensure that these regulations are complied with.